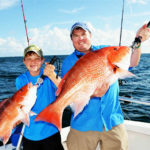 Editor’s Note: Over 100 days a year, Captain Randy Boggs of the “Reel Surprise” charter boat (https://www.reelsurprisecharters.com/) out of SanRoc Cay Marina (http://www.sanroccay.com/marina) in Orange Beach, Alabama, is fishing for red snapper. 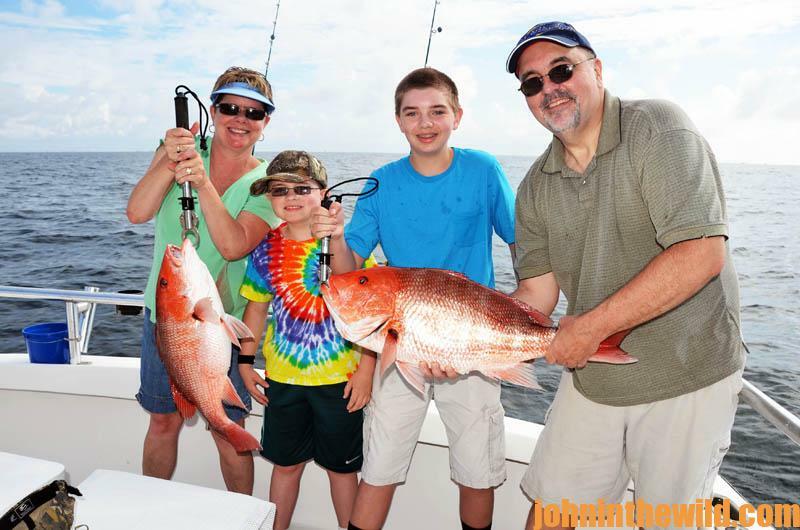 During snapper season, his customers can keep the red snapper, and after snapper season, they can make pictures of the red snapper they catch and then release. 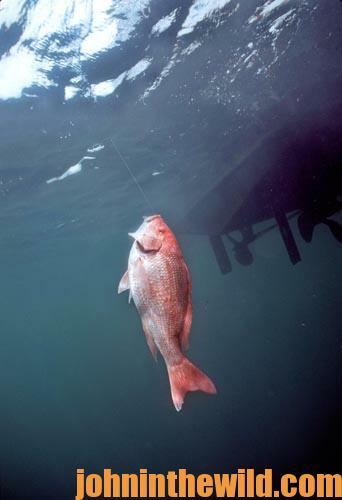 Here are some of Randy Boggs’ red snapper catching secrets. 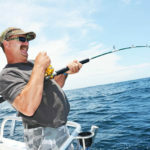 “Secret #1: Use the proper baiting technique for red snapper,” Captain Boggs says. “When any predator fish eats a prey fish, it eats that prey fish head first. The reason the predator fish takes the prey fish head first is because if it takes the prey fish tail first, the bait fish can spread its pectoral fins and dorsal fin on top of the fish and choke the fish trying to eat it. 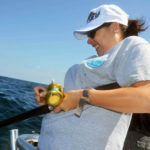 So, any time you want to hook a bait fish – whether that bait is alive or dead – you want to hook the bait either from the lower jaw and bring the point of the hook out of the top lips or between the eyes. 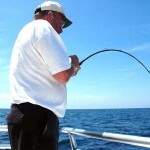 If you are fishing with dead bait like a cigar minnow, you want the hook to go through both eyes. “We’ve also learned that instead of fishing with a whole cigar minnow, we use a half a cigar minnow. If you use a whole dead cigar minnow to bait with for snapper, the snapper will grab the cigar minnow in the middle, swim down with the bait and then spit it out. To more likely hook the snapper, when you’re fishing with the tail half of the cigar minnow, put the hook in that half furthest away from the tail. Then when the snapper takes the back half of the minnow, the snapper will grab that severed portion of the cigar minnow and swim down with it. Then you’ll have a better chance of getting a good hook set. 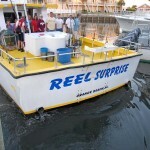 Contact Captain Randy Boggs at https://www.reelsurprisecharters.com/ and 251-981-7172. 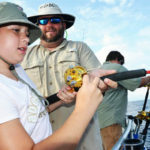 To learn more about saltwater fishing, check out “Alabama’s Inshore Saltwater Fishing: A Year-Round Guide for Catching More Than 15 Species,” “Alabama’s Offshore Saltwater Fishing: A Year-Round Guide for Catching Over 15 Species of Fish,” “Fishing Mississippi’s Gulf Coast and Visitor’s Guide,” “How to Fish Mississippi’s Gulf Coast in June” and “13 Saltwater Fish Recipes You Can’t Live Without,” available in Kindle eBooks and some print books. 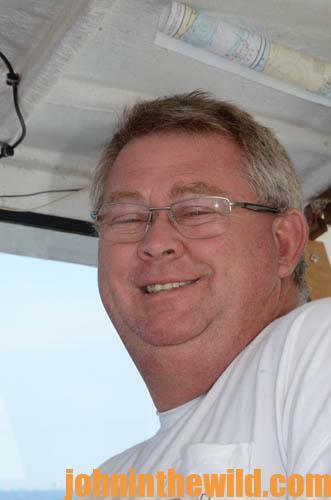 07/28/2015 Why Does the Captain Move the Boat when Reef Fish Start Biting?